The newly elected president of the World Bank, David Malpass, has revealed that nine in every ten extremely poor people across the world will be Africans come 2030. 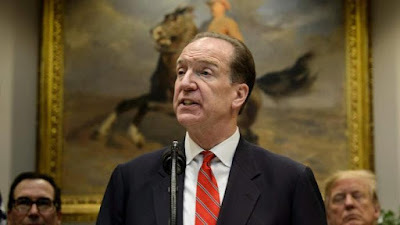 David Malpass disclosed this in his opening remark at the press conference of the ongoing 2019 spring meetings of the International Monetary Fund and World Bank Group. According to Malpass, this development will jeopardise the World Bank’s goal to end extreme poverty by that time. Based on World Bank calculations, the World Bank President reportedly disclosed that global growth lost momentum throughout 2018, falling 2.7 per cent in the fourth quarter, down from 3.3 per cent in the Q1. THE DECELERATION WAS SEEN IN BOTH ADVANCED AND DEVELOPING ECONOMIES, AND IT COINCIDED WITH THREE OTHER WARNING SIGNS: WANING STRUCTURAL REFORMS IN MAJOR ECONOMIES; FINANCIAL STRESS IN SOME LARGE EMERGING MARKETS; AND ELEVATED POLICY UNCERTAINTY GLOBALLY. Also, Malpas stated that Growth in median incomes will be weak in the region. 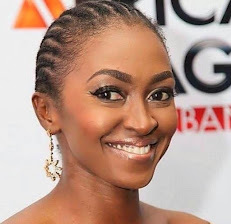 According to the Malpas, on current trends, per capita income growth in Sub-Saharan Africa, as a whole, is now projected to stay below 1 per cent until at least 2021, which elevates the risk of a further concentration of extreme poverty on the continent. This fact is extremely troubling because it jeopardizes the World Bank’s primary goal of ending extreme poverty by 2030. According to Malpas, the World Bank Group plays an increasingly vital role in leading on global challenges that people face in developing countries. Further, World Bank stated that extreme poverty globally has dropped to 700 million at the last count, that’s down from much higher levels in the 1990s and 2000s. But the number of people living in extreme poverty is on the rise in Sub-Saharan Africa. By 2030, nearly 9 in 10 extremely poor people will be Africans, and half of the World’s poor will be living in fragile and conflict-affected settings. According to Malpas, this calls for urgent action by countries themselves, and by the global community. Just yesterday, World Bank sister organization, Internationa Monetary Fund (IMF) ranked Nigeria as the world’s second worst country in the use of sovereign wealth funds.